MainAll NewsMiddle EastBashar Assad 'Ready to Leave'? Bashar Assad 'Ready to Leave'? Assad is ready to give up power "in a civilized manner," says Russian envoy to Paris. Syria denies it. Syrian strongman Bashar al-Assad is ready to give up power but only in a "civilized manner", Russia's ambassador to Paris, Alexander Orlov, told Radio France International (RFI) in an interview Friday, according to AFP. Orlov said that Assad had accepted a transition plan agreed upon by world powers in Geneva, and had named a representative for talks with the opposition. "That is to say, he is accepting to go -- but to go in a civilized manner," he said. When asked if Assad's departure was only a matter of time, Orlov said: "Personally I share your opinion. I believe it will be difficult for him to stay after everything that has happened." By vetoing UN resolutions on Syria, Orlov opined, Russia was not defending Assad's regime but standing behind "principles of non-interference in internal affairs." 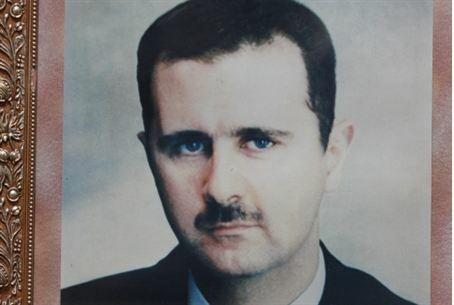 "We do not have any particular links with the Assad regime, with the Syrian president," he said. "But for us this is a case of principles that goes far beyond what is happening in Syria." Russia had done all it could to convince Assad to conduct talks, he added, but the West had not done the same with the opposition to Assad. "Unfortunately our Western partners... did not work sufficiently hard with the Syrian opposition to encourage them to come to the negotiating table," he said. AFP said that Syria's Information Ministry gave a "quick response" to the interview. Orlov's comments regarding Assad's willingness to leave power were "completely devoid of truth," it said, in a ministry statement that was flashed on state television.